Getting to places around Burnaby campus has been the bane of SFU student existence since even before the construction began. After nearly getting trampled at the Production Skytrain station due to that tradition of sprinting down the stairs, we already had to deal with that steep flight at Saywell. The absolute last thing you want after all that is the lengthy walk up and down more flights of stairs just to get to West Mall. 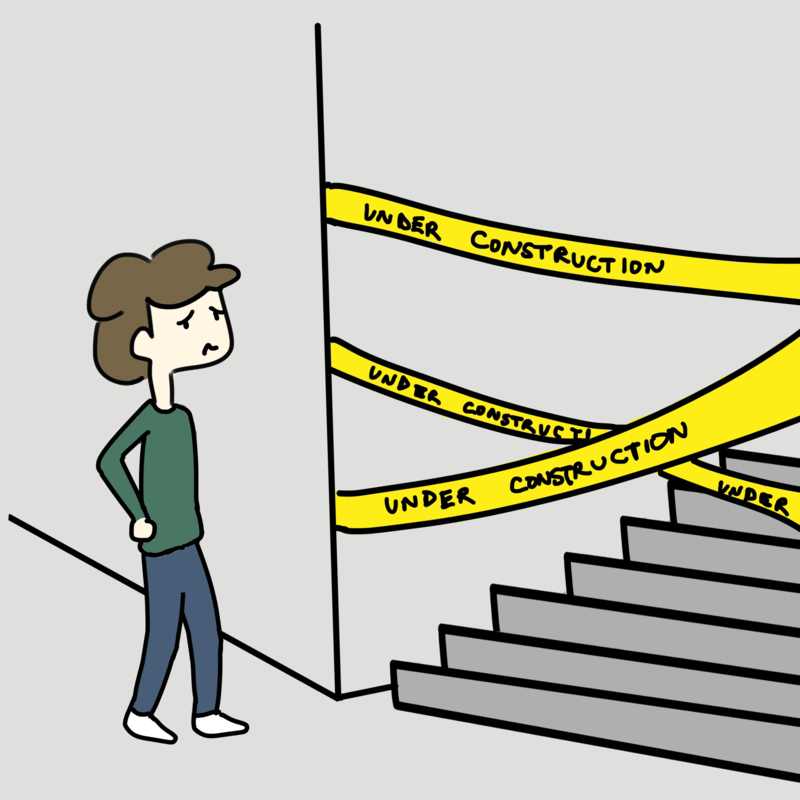 Now, though, the stairs and walkways of this campus are an ever-changing labyrinth thanks to the construction on campus. You thought navigating the routes through Robert C. Brown Hall or the technology complexes were a challenge? Try it when the entire school has become a shifting maze of arrows, fences and “Public Walkway” signs. Forget about going to the Lorne Davies Center to work out, just getting there from the AQ through several closed pathways is tiring enough. It’s bad enough normally, but it only gets worse when the frequent rainfall (and recently snowfall) hits the flights outside. Remember the good old days when SFU students could at least say that they could get everywhere on campus without getting wet? With construction clogging and closing up the indoor staircases, those days are now a distant memory — almost as distant as the upper walkway we need to take now that the AQ’s so closed off.